← Welcome to Year Five! In Five White, we have a good deed tree. The students have written a good deed (an act of kindess) they are going to try and carry out and have attached them to an apple on the tree. Doing nice things for others not only makes them happier, but it also makes you happier! Remember, what you do shows who you are. Think about the person you want to be and some nice things you can do for other people in Five White, year five, our school or your family. Miss Azzopardi can’t wait to see all the wonderful good deeds the students in Five White are doing! What good deeds could you do? My name is Mary and I teach 5/6 at Holy Spirit in North Ringwood Victoria. I love your good deed tree and am really hoping you post a photo of it when it is covered with good deeds. I wonder how long that will take? I think it is a great idea and a fantastic way to focus on our deeds especially as we begin Lent this week. We have a class precept or goal for the month and at the moment, ours is ‘Your deeds are your monuments’. That links nicely with your tree too. Thanks for sharing your learning and look forward to visiting again. Thank you for commenting on our blog. We hope your class achieves their goal. We are looking forward to visiting your blog. Thank you so very much for commenting on our blog.I love our good deed tree too, it helps each child remember what is good, I think doing the goal is an excellent idea do encourage all students . We have a positive thought that changes each week we always read it when we come into class that reminds us that there is always something happy to think about. Does your class have a blog? What a wonderful way to encourage your class to always be striving to complete good deeds for each other. It looks like your teacher is very clever and creative and I am sure you do many wonderful things throughout the year. We also have a class log http://www.thelearninglair.weebly.com. We would love you to come and visit us some time. I’m glad you and your class is visiting our blog . I just cannot wait until i go to visit your blog , i’m sure it’s awesome. We like to complete our good deeds everyday trying to help our class members everyday , does your class have good deeds ? if so what are some? I love the good deed tree it provides the kids with the opportunity to put kindness into practice. This initiative will help the kids understand the importance of being a caring member of society. I am very happy to hear that you like our good deed tree! I hope you are having a lovely week. Thank you so much for commenting on our blog. I hope you comment on our future posts. A good deed would be,Give money,clothes,food to the poor. Some good deeds that i can do are Help people when there sad, play with people who don’t have friends, help my mum at home with chores, try to be nicer to my brothers and sister and helping my teachers at school more. They are lovely deeds. I especially like your idea to help people when they are sad and help people who don’t have any friends. What a wonderful post Miss Azzapardi! Some of the good deeds I do is I help my mum around the kitchen, I help my dad sort out his papers, I help my syblolings clean there room, if someone has a problem i try my hardest to fix it and last i can be very very forgiving! What are your good deeds Miss Azzapardi? Wow, you seem like a lovely helper around the house! Keep up the great work. This week I would like to help everyone in Five White when they need me and make people smile! some good deeds i do around home or school is help everyone that are needed to helped,listen to everything that everyone says be nicer to people i don’t really like. I like that you are trying to listen to what people are saying. I can do good deeds by helping my mum clean the house, Help the Kindergartern get used to school and also helping people who are upset on the playground. What do you do as good deeds Miss Azzopardi? I think it is fantastic that you are helping kindy during your recess and lunch time. I would like to cheer people up when they are feeling down and help my family members more. My good deed this week is to give tins of food and money to project compassion this week. I wonder what would you give to project compassion? They sound like lovely ideas. I will be giving to project compassion as well. I hope Five White raises a lot of money this Lent! i loved your comment on our good deed tree, i hope all of us can do our good deed many times. I was wondering when we are going to get project compassion project money boxes ? and my mum says sorry but she was smueller1708 she forgot to look at the note. i hope we all give lots of things this lent. I hope we complete our good deeds many times, too! Today answered your question, we have our project compassion box and students have already put money in! That is no problem, I am very happy that your mum has commented, well done for sharing our blog with her. I hope you share it with other members of your family. I absolutely loved your comment on the Good Deed Tree! Some of the good deeds I do at home are washing the dishes, drying the dishes, setting up the table, help clean the house and I help do the washing.Also as another good deed to do at school, I would like to donate some of my money to the poor. I hope a lot of people in 5 white will also donate!!! Wow, you are an awesome helper!! I hope everyone in our class donates, too! I loved the idea of The Good Deed Tree! It shows how we can perform good deeds! My good deed is that I’m going to donate money and tins of food to the poor. What good deeds are you going to do 5 White? I am very happy to hear that you like our good deed tree. They are great good deeds, Nathan. I will also be donating to the poor. The good deed i will do is donate clothes and money and pray to help the poor. Well done! They are great things to do, especially during Lent. Those are some cool deeds! My deed is I will help my mum clean her car this weekend. See you at school! Thanks for replying and I like that deed to help your mum. food,Help my mum get the clothes and hang them up. They are great ideas! Helping the kindies is a big job and I have been watching you doing a great job. I like the good deed you do help the kindergartens and helping the poor people and help your mum get the cloothes and hang them up. The good deeds I do is help my mum,dad and also sister wash the dishes,clean the table, always encourage my family because sometimes hard things happen so I always think of helpful solutions. I a also as another good deed I am going to donate money,clothes and even if I can donate blankets to help Caritas Australia. I love that you encourage your family during difficult times. You are such a kind person. The good deeds I would do is help others when required, donate at least 1$ a day to the Project Compassion box and help my mum learn how to pronounce English words. They are lovely deeds. You are a very kind person. Wow! What a wonderful post with so many thoughtful deeds. I’m sure your teacher & parents are very proud of how kind & helpful you all are in wanting to help others. Thank you for sharing your ideas & keep up the good work. Our family will also contribute to project compassion. Thank you for commenting on your blog! We are so happy to hear that you like our good deed tree. It is very generous of you to contribute to project compassion. Your blog looks amazing! Your good deed tree is a fantastic idea and looks beautiful. We can’t wait to see your tree full of all the good deeds you have done. We are also looking forward to checking out your blog over the rest of the year. We are learning to blog as a class this year as well. It is always nice to see what other Year 5 classes are learning about. Hello my name is Andrea and I am a 5 White student. 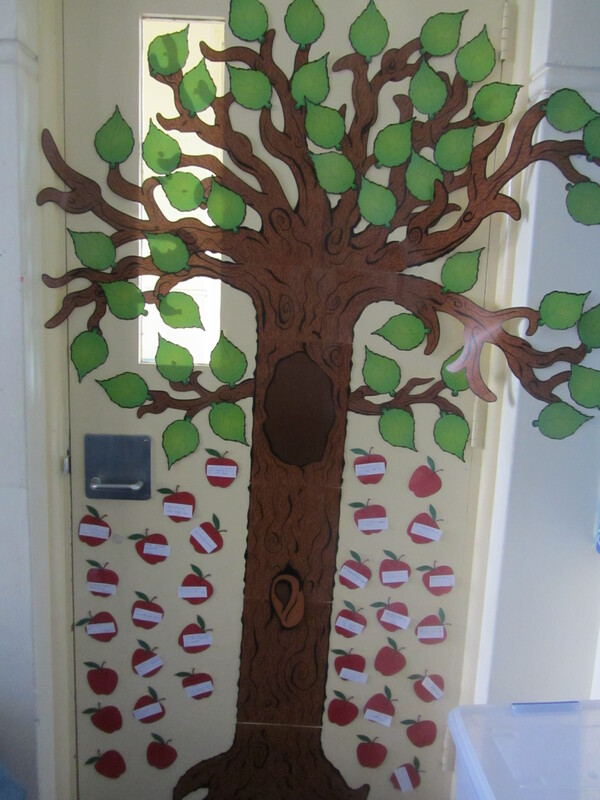 We use our good deed tree to remind us that we are in lent and its a time we do good deeds like Jesus. 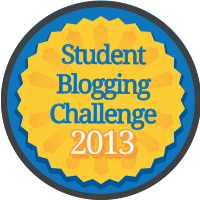 5 White is looking forward to looking at your blog. We really want to see what yr 5 are up to. Hello my name is Isabelle and I am a 5 White student. We use our good deed tree to remind us that we are in lent and its a time we do good deeds like Jesus. 5 white is looking forward to loking at your blog. The good deeds I will do is donate money to the poor,help the kindergardens and also help my mum cook. They are lovely deeds. I bet your mum loves it when you help out with the cooking! That was a good deeds that you are doing money to the poor, helping the kindergardens and also helping your mum cook the food for your family. A good deed would be helping my mum with the house chores and be more forgiving. That is a good deed. Helping your mum around the house would be very very helpful and it will make you more forgiving and a better person. The good deed tree is very good for our class. Well my good deed is to pray for the poor and help the poor. A good deed would be helping my mum and dad with the houes chores and be more forgiving and try head at school work and being kind to people.